Several readers asked if the age of their Model 21 could be estimated from the serial number. 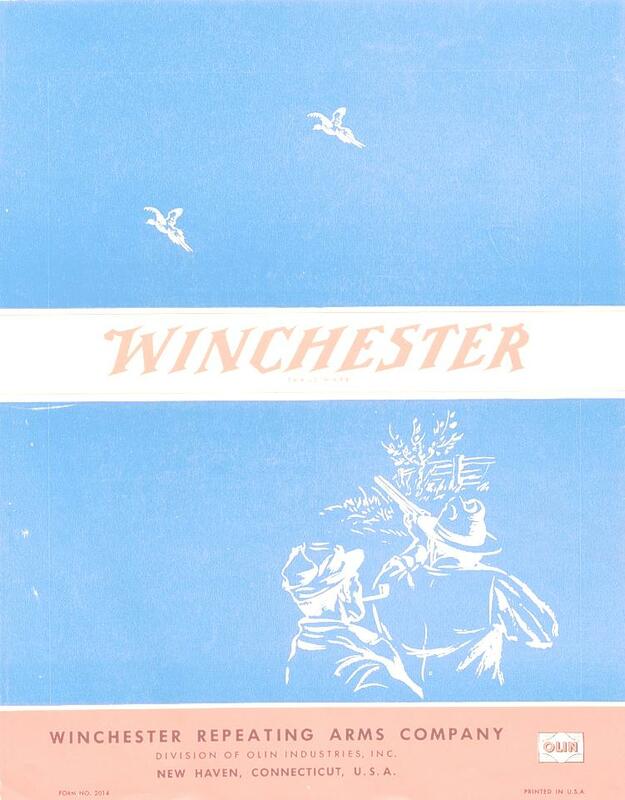 Unfortunately, Winchester didn't use Model 21 receivers in the order the receivers were manufactured. 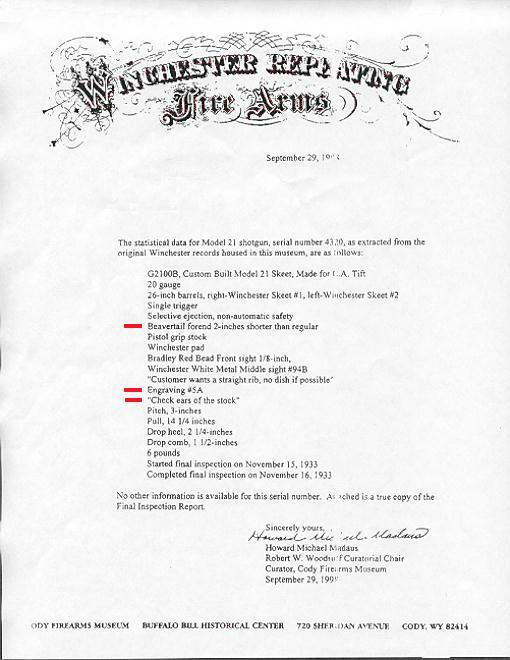 Several authors have reported guns whose final inspection date, as reported on the factory letter, is much later than existing factory receiver production records would suggest. 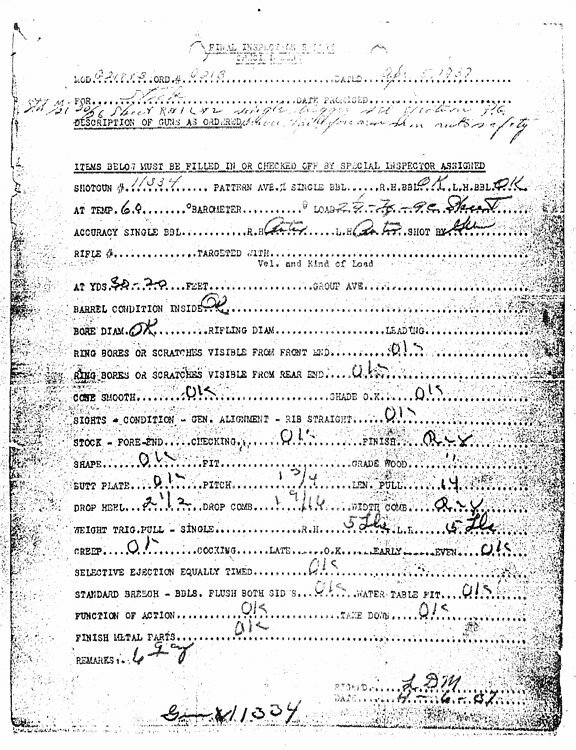 I compiled a table of guns for which I know factory records exist and from guns mentioned by Schwing1. The table on the left is sorted by Serial Number and the table on the right is sorted by Completion Date. Click on the BOLD SERIAL NUMBERS to view the actual factory records. 1Ned Schwing, Winchester's Finest The Model 21 (Krause Publications, Iola, WI. 1990).